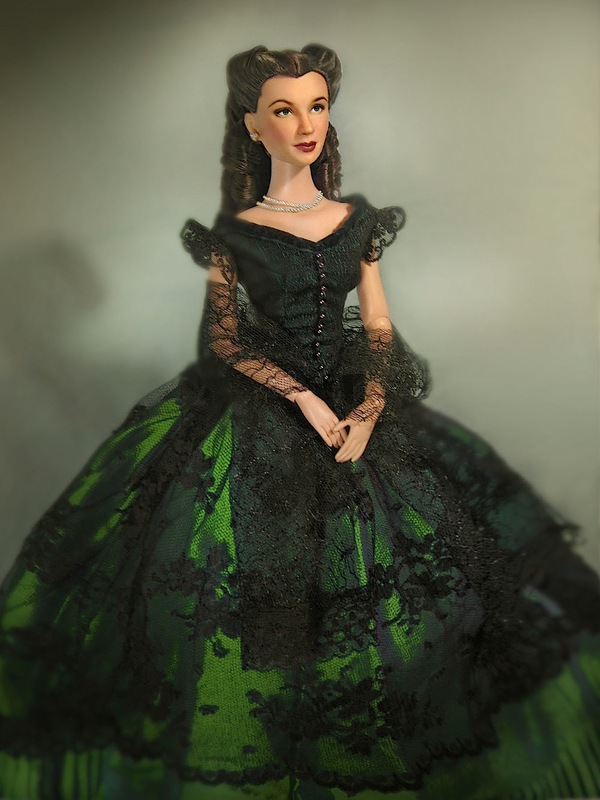 Since the lost Portrait doll has not been recovered, I've been scanning photos of people who've managed to get one. I've been dreaming of that head and its cascade of curls that fall on the doll's shoulders. What to do? 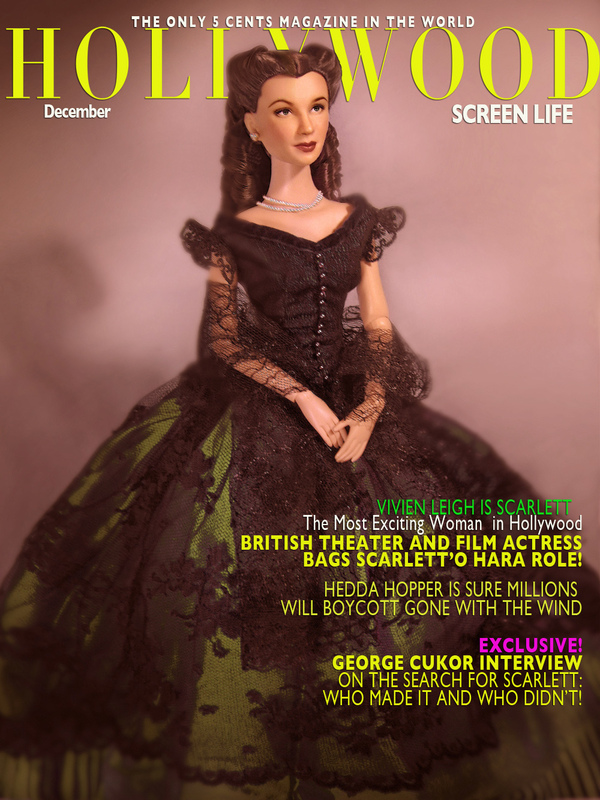 Vent it all out by creating a portrait with a photoshopped hairstyle placed on an existing doll. This is one of my favorite gowns created by Alana Bennett. I've been planning on asking her to do another gown for Scarlett. When doing research however, I am stumped by the beautiful creations seen online. Charles Worth gowns are worth looking into. Then there are the Anna Karenina gowns worn by Vivien Leigh. One must be really careful, every dollar is a large chunk on my pesos. Well, here's a portrait that I call "Lost Portrait", an expression of longing for that lost doll. Have a nice weekend everyone! 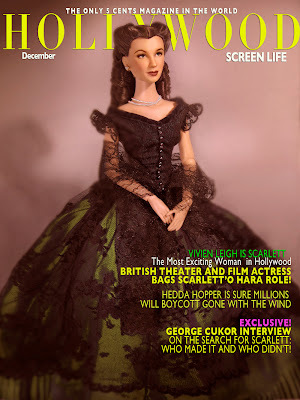 and thought of creating this faux cover of a Hollywood magazine during that time.